This proposed book is a sequel to Volume 1. 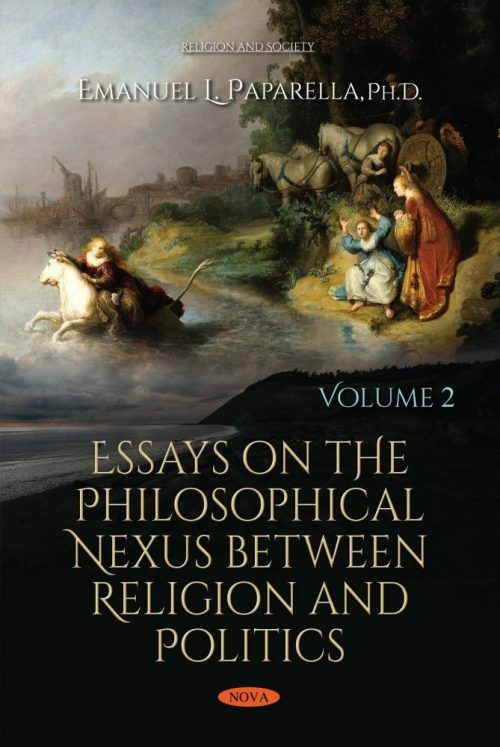 It has the same title and consists of eighteen additional essays written over four years (2014-2017) on the theme of the historical nexus between religion and politics. This second volume begins where the first ends and its Table of Contents lists essays Nineteen to Thirty-Six. It takes a sweeping panoramic cultural and anthropological view on the theme that is in some way connected to the following philosophical and dialectical conundrums: myth/history, poetics/science, politics/transcendentalism, freedom/determinism, ideology/history, power/justice, law/love, grand narrative/positivistic approach, hermeneutics, transcendence/immanence, secularism/religion, liberalism/fascism, freedom/human rights, revelation/positivism, democracy/political corruption, moral compass/power, guilt/honor, democracy/truth, ethical tradition/historical tradition, secular humanism/religious humanism, public spirituality/private spirituality, and spiritual identity/political identity. All of these subthemes are alluded to in the titles of the chapters and then philosophically explored. The chapters also venture into uncharted territory. From the very beginning, they often challenge taken-for-granted assumptions about history, progress, science, the secular and the sacred. The goal is not so much to solve those perennial philosophical conundrums, but to point to their relevancy for an effective handling of various contemporary existential predicaments in politics, in environmental science, and in spirituality. The target audience includes the educated layman of a philosophical bent, but also includes those readers that follow contemporary trends in ethics, spirituality and politics. Essay 1. Is Northern Europe Still the Last Bastion of Liberal Tolerance? Essay 16. The Nightmare of Modern Democracy in the Age of Alternate Facts: A Sickness unto Death? Essay 18. Darkness at Twilight: The Devil’s Bargain in American Politics?